Sylhet Office : Both the driver and helper of a bus that ran over a student from Sylhet Agricultural University were sent to jail on Sunday (Mar 24). 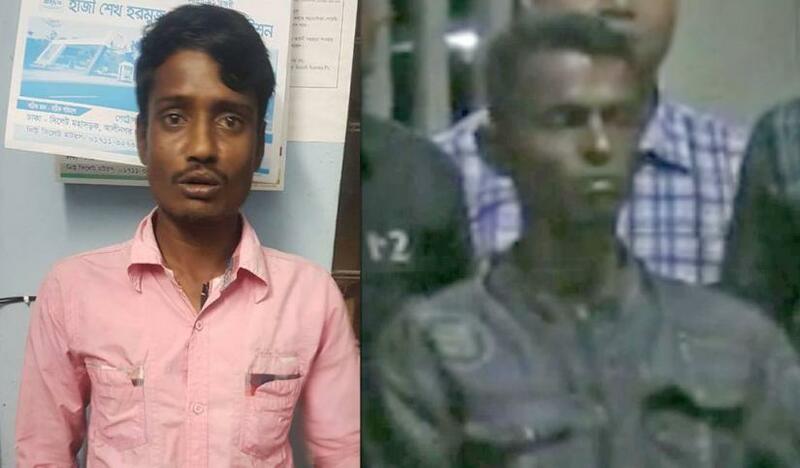 Sub-Inspector Bikash BPM with Moulvibazar Model police told that transport workers had detained Jewel Ahmed, 40, the driver on Saturday night as the first protests broke out. Jewel was handed over to South Surma police station before being transferred to Moulvibazar Model police station. The helper, Mashuk Ali, was arrested from his in-law’s house in Chhatok, Sunamgonj on Saturday night after his mobile phone was tracked by the police. He too was handed over to Moulvibazar Model police station. Both Jewel and Mashuk were produced before a court on Sunday, which sent both of them to jail. Wasim Afnan, 22, a fourth-year student in the Biotechnology and Genetic Engineering department of the university, was run over by a bus after its helper reportedly pushed him off the vehicle at Sherpur in the sadar upazila of Moulvibazar on Saturday afternoon. In light of the aggrieved sentiments nationwide against unnatural deaths on roads, and the recent deaths caused by reckless buses in the capital, severe protests have broken out in Sylhet and adjoining districts.